What happens when you combine a Gen-Xer and a Millennial in a two-hour package? 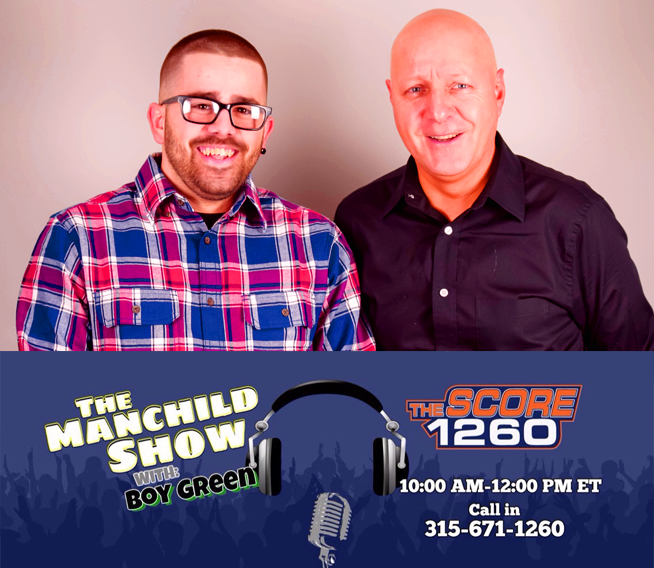 It’s The Manchild Show with Boy Green! 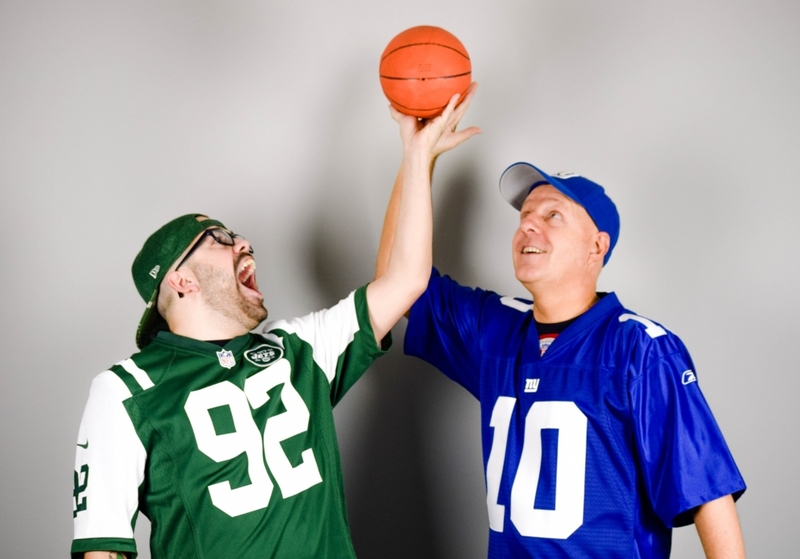 Weekdays 10 – NOON on The Voice of the Central New York Sports Fan, The Score 1260! “The Manchild” (Jim Lerch) has been an influential part of the Syracuse sports media for more than 20 years as both a television and radio sportscaster. Jim has covered Syracuse University sports for 15 years and has hosted pre-game and post-game radio and TV shows for the Orange’s football and basketball teams. During his time in Central New York, he has also spent over 5 years in daily television, including hosting Channel 9 TV’s “Friday Night Fever.” He has also broadcast high school and college play-by-play events on TV. He’s both an admirer and supporter of area amateur sports, especially golf. Known for his energetic style and challenging insights, “The Manchild” often stirs the pot on CNY sports issues. Jim’s radio background is deep. 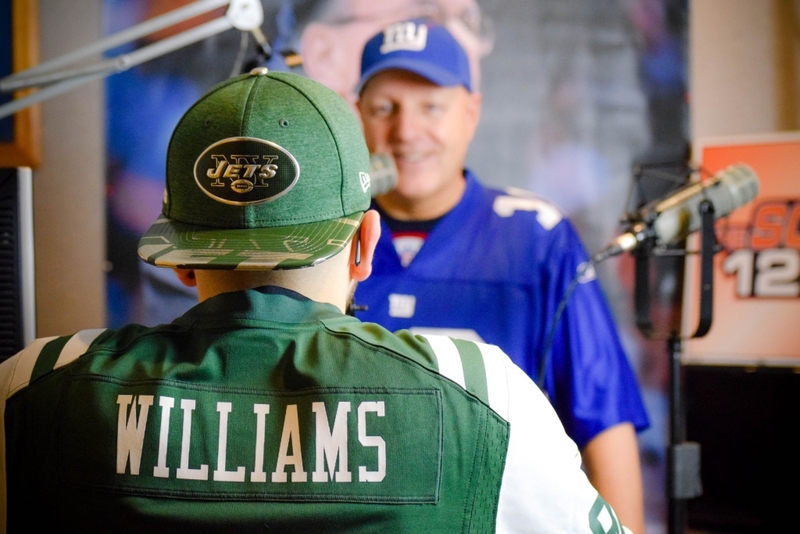 He was the program director, sports director, promotions director and web content manager for two Central New York radio stations for nearly 7 years. There’s just about no job in radio Jim hasn’t performed. He’s a graduate of Syracuse University’s renowned S.I. Newhouse School of Communications and is a proud SU alum. Jim also has a Master’s Degree from Le Moyne College to enhance his already impressive resume and is a college professor at both SUNY Oswego and OCC in the fields of journalism, broadcasting and communications. Paul “Boy Green” Esden is a fresh voice on the CNY radio scene. A graduate of Oswego State, Esden’s quirky voice and energetic style with a millennial point of view provide a young and entertaining viewpoint on sports. 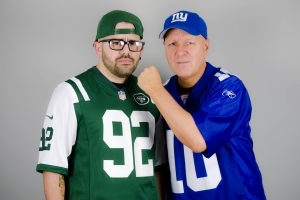 Esden is passionate about the sports teams he roots for and acquired the nickname “Boy Green” because of his devout fandom for the New York Jets and the Boston Celtics who both wear green as their primary uniform colors. For over 2 years, Paul served as the executive producer, fill-in host and sports update reporter for The Bud and the Manchild Show. In addition to his multiple roles with The Score 1260, he has also provided Syracuse basketball and football coverage as the Senior Columnist of Inside the Loud House for the past 2 years and is a voracious social media contributor. Prior to settling in Syracuse, Paul grew up in a military family and traveled the United States during his youth.